Health, according to Florence Nightingale, was defined as the absence of disease and illness. Throughout the years, this definition has changed significantly. At the current time, the World Health Organization (WHO) defines health as "a state of complete physical, mental and social well-being and not merely the absence of disease or infirmity." The World Health Organization defines health promotion as "the process of enabling people to increase their control over, and improve their health". These definitions of health and health promotion have implications for nurses and the health care profession. There are a large number of theories and models that facilitate an understanding of health, illness, and wellness. Some of these theories and models are very specific and highly concrete and others are more general and more abstract. Holistic approaches to health and wellness, more consistent with the holistic definition of health put forward by the WHO as just stated, include the beliefs that the bio-psycho-social-spiritual person is in the state of constant dynamic interaction with the environment; changes occurring in any of these aspects create change in all the other aspects of the person and the environment within which the client is. Adaptation models and theories of health define health as how well able the client is to adapt and cope with changes. Disease and illness occur when the person is maladapting to the change; and health is promoted when the client is able to cope successfully and in a healthy manner. Simply stated, a person is considered in good health and healthy when they are able to fulfill their multiple roles without disruption; and a person is considered ill when they cannot fulfill their roles and responsibilities. For example, a client who is able to continue to work and to perform their role as a parent is considered healthy and not ill as they manage a chronic disorder such as heart disease or diabetes. The Health-Illness Continuum, put forth by Ryan and Travis, describes health and illness along a continuum with high level health and wellness at one extreme end of this continuum and high levels of illness and poor health, including death itself, at the other extreme end of this continuum. Neither health nor illness is depicted in the middle of this continuum which is sometimes referred to as the neutral zone. Clients move along the continuum from illness toward health when they are successfully treated; and clients move along the continuum from health to illness as the result of an infection or trauma, for example. The High Level Wellness Model of Halbert Dunn is somewhat similar to the Health-Illness Continuum of Ryan and Travis which was discussed immediately above this model. Rather than a continuum, however, the High Level Wellness Model has 2 axes - the horizontal axis and the vertical axis. 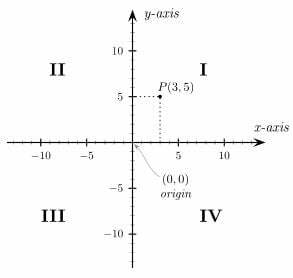 As these axes cross each other as shown below, four quadrants are formed. Poor health in an unfavorable environment is present when an ill person is in an unhealthy environment. An example of poor health in an unfavorable environment is when a person with severe immunosuppression is subjected to unsanitary conditions and contaminated drinking water; an example of protected poor health in a favorable environment occurs when a client or a family, for example, has support systems and accessibility to health care services when they are impacted with an illness, disease or disorder; emergent high level wellness in an unfavorable environment can occur when a client is committed to a regular exercise regimen, however, they are unable to do so because of their multiple roles and responsibilities; and, finally, poor health in an unfavorable environment occurs when a client with illness does not have the resources and services that they need to manage and correct their poor health. The Agent - Host - Environment Model, developed by Leavell and Clark, describes disease and illness as a function of the dynamic interactions and interrelationships among the agent, the host and the environment. The Agent - Host - Environment Model is helpful for getting a fuller understanding of diseases and illnesses; however, it is not helpful in terms of health and health promotion. The agent in this model is the factor or force that leads to the disease or disorder. The agent can be a physical, psychological, social, chemical or mechanical force or factor. For example, bacteria, an agent, can lead to an infectious disease when the host and the environment interact with it and each other; and toxic chemicals can lead to a disease or disorder when the host and the environment interact with it and each other. The host is the person that could be affected with a disease or disorder when the client interacts with the agent and the environment interacts with the client and each other. As discussed previously with the Infection Control section, some clients are more susceptible hosts than other clients. For example, a client's vulnerability and susceptibility to illnesses and diseases increase when they are affected by risk factors associated with the disease or disorder such as gender, age and life style choices. The environment consists of all factors that are external to the client. Some elements of the environment can place a person at risk for a disease or illness; other environmental factors predispose the person to wellness. For example, a social stressor, such as the loss of a loved one, predisposes the host for disease and illness; and a physical environmental force, such as healthy noise levels and adequate living conditions can facilitate health. The Systems Model of Neumann is based on the premise that the human being, which is an open system within the environment, has natural boundaries to protect it against the stressors in the environment. These protective boundaries include the lines of resistance, the normal lines of defense, and the flexible lines of defense which protect the open system from environmental stressors and penetration of the open system. Health promotion includes the nurses' fortification of these lines of defense to maintain health and prevent diseases and illnesses. When the lines become penetrated, as is the case with the occurrence of illness and disease, nurses, in collaboration with other members of the health care team, provide care and treatments to reorganize and reconstitute the open system after it has been disrupted with penetrating forces. The Dimensions Model of Health includes 6 dimensions that impact on the individual client, groups pf clients, families, populations and communities. This model, unlike other abstract models of health and wellness such as the Systems Model of Neumann and the holistic models, is relatively concrete and, as such, is highly beneficial to nurses and others as they care for their clients. Biophysical Dimension: This dimension includes physical risk factors for disease and illnesses such as the age of the person, their genetics, and the presence of any anatomical structure abnormalities. Psychological and Emotional Dimension: This dimension includes the client's ability to adapt with and cope with changes, including those related to illness and disease, the client's level of cognition, and their willingness and motivation to participate in health and wellness activities, for example. Behavioral Dimension: This dimension includes the client's choices in terms of their behaviors and life style choices. For example, a good exercise regimen, adequate nutrition and the avoidance of harmful substances are examples of some of the components of the behavioral dimension of health and wellness. Socio-cultural Dimension: The Socio-cultural Dimension includes social forces such as socioeconomic status, and support systems; the cultural aspect of the Socio-cultural Dimension includes things like the beliefs, practices, and values of the client as based on their culture. Physical Environment Dimension: This dimension includes factors and forces in the external environment that positively or negatively impact on clients' health. For example, clean air and clean drinking water in the environment facilitate health; and air pollution and contaminated drinking water negatively impact on the health of those who are exposed to it in the environment. Health Systems Dimension: This dimension includes the clients' availability, accessibility, and affordability of health care and health related resources and services that meet their health related needs. The Seven Components of Wellness, credited to Anspaugh, Hamrick and Rosato, is similar to the Dimensions Model of Health except that the Seven Components of Wellness has more components and some of these components are different. The Seven Components of Wellness are the physical, intellectual, emotional, social, spiritual, occupational and environmental components of health. The physical component, the psychological component, the social component and the environmental component of this model closely parallel the physical dimension, the psychological dimension, the social dimension and the environmental dimension, respectively, in the Dimensions Model of Health. The other components of the Seven Components of Wellness and their descriptions are described below. The Intellectual Dimension: The Intellectual Dimension reflects the client's level of cognition and their abilities to solve health care problems, including an adequate level of health literacy in order for the client to understand, and consent to, procedures, alternatives, and treatments relating to their health care concerns. The Spiritual Dimension: This dimension, in addition to a religious component if religious beliefs are held by the client, reflects the client's connectedness to their God and/or their higher power. This dimension gives the client a sense of meaning and connectedness beyond the immediate here and now. The Occupational Dimension: The Occupational Dimension includes the client's ability to balance their work life with their personal and social lives and associated roles and responsibilities. Pender's Health Promotion Model emphasizes the relationship of the client's motivation and commitment to goal directed behavior and the promotion of health. As briefly discussed at the beginning of this review with the "Integrated Process: Teaching and Learning", the primary purpose of teaching is to change behaviors. According to Pender's Health Promotion Model, health and health promotion is impacted with a wide variety of factors and forces including their personal characteristics, their past experiences with successes and failures, their perceptions, their level of self efficacy, their support systems and their emotions. Rosenstock and Becker's Health Belief Model, a somewhat predictive model that is sometimes used to determine if the particular client will or will not participate in the established and recommended immunization schedule or another aspect of health maintenance and health promotion, as based on the clients' perceptions and beliefs. The Health Belief Model addresses the relationship of the client's perceptions, beliefs and other factors as they relate to the clients' behaviors and their health and health promotion behaviors. This model can predict whether or not a person will engage in screening tests, for example, as based on their personal perceptions and beliefs. Some of these beliefs and perceptions can include the client's perceptions about the severity of the health related threat and their susceptibility and vulnerability in terms of it and some of the other factors that can impact on the client's behavior are things like demographics like gender and culture, structural facilitators and barriers including those related to the accessibility and affordability of health care services and psychosocial factors such as support systems and economics. Simply defined a risk factor is an intrinsic or extrinsic factor or force that could lead to an illness, infection, a disease or disorder. An example of an intrinsic risk factor is the presence of hypertension which places the patient at risk for other disorders and an example of an extrinsic risk factor is contaminated food which places the person at risk for foodborne illnesses or infections. Some risk factors can be decreased or eliminated and other risk factors cannot be changed or eliminated. For example, genetics, age, ethnicity, and gender cannot be changed, however, other risk factors, particularly those relating to poor life style choices like poor dietary habits and consumption patterns can be eliminated. Data and information about the patient's risk factors are collected during the admission health history, during the physical examination, and throughout the course of care. As defined in the beginning of this NCLEX-RN review, "client", according to the National Council of State Boards of Nursing, is defined as an individual client, a family unit, a group, a population and a community. In addition to the previous discussion on family and types of families, registered nurses also care for a group which is further defined as a collection or aggregate of more than one person who have a common characteristic such as age, gender and medical diagnosis. Groups can be as small as two people, which are referred to as a dyad, and they can be very large like a group of 7 to 10 year old pediatric clients in a particular county. A population is comprised of a group of people with two or more subpopulations; populations share some characteristics and they do not share others. For example, a population may share a common characteristic such as multiple sclerosis but this population also has subpopulations with shared characteristics such as age and gender, for example. Unlike a population, a community is a group of interacting people who have shared concerns and/or interests and they address these concerns, needs and interests as a cooperative effort. As emphasized in the "Integrated Process: Teaching and Learning", the registered nurses assess the educational needs of their clients, including individual clients, families, groups, populations and communities. The nurse would then plan an educational activity for the client that would include the psychomotor aspects of wound care and/or the cognitive domain content relating to the signs and symptoms of a wound infection which is a commonly occurring risk associated with poor wound healing. An appropriate educational session may include the normal stages of growth and development as put forward by Erik Erikson and age appropriate activities in order to prevent the risk of developmental delays. Group education for patients and their spouses relating to diabetes, the diabetic diet and diabetic medications can be given to prevent the short term and long term complications and risks associated with diabetes. Populations: Education relating to the recommended immunizations for the infant would be presented to a population of new parents to prevent the risk of highly preventable infectious diseases. The registered nurse may appear and give a presentation to a local government group about the health related need for adequate recreation in the community. The effectiveness of learning is based on a number of factors including the client's readiness to learn, how well the educational activity meets and is consistent with their learning styles and learning preferences, and how effectively the nurse has planned for and removed all possible barriers to learning. The motivation, or readiness, to learn is impacted by a number of things including the clients' locus of control, their belief in self efficacy, and how the learning will help them solve an immediate problem. As suggested in the section above on "Holistic Models of Health and Wellness", some of these theories address a person's self efficacy and their locus of control as a predictor of positive health behaviors. Simply said, a locus of control is the location of where the power over the future lies. The two kinds of locus of control are an internal locus of control and an external locus of control. An internal locus of control motivates the client to learn because they believe that they have control over their future and that they can solve their problems. In sharp contrast, a person with an external locus of control has the deep belief that they have no control over their future and their problems. Their fate, according to the person with an external locus of control, is a function of others and other things including the sun, the moon and the stars. For these people, learning is futile because they have no control. When the nurse is challenged with people who have an external locus of control, the nurse can promote learning readiness and the motivation to learn by moving the external locus of control into the client's internal locus of control. For example, the nurse may arrange for the client to meet another person who is living a full life despite their diabetes or they may refer the client to a self-help group in the community where the members share the same disease or disorder such as alcoholism or drug abuse. Similar to the locus of control, the person's sense of self efficacy also motivates or inhibits learning. The Theory of Self Efficacy, credited to Albert Bandura, states that self efficacy "refers to beliefs in one's capabilities to organize and execute the courses of action required to manage prospective situations. More simply, self-efficacy is what an individual believes he or she can accomplish using his or her skills under certain circumstances". People with high levels of self efficacy believe that they can succeed; they have a "can do" attitude, and as such, they are more willing to learn in order to solve their problems. The converse is also true. People with a low level of self efficacy have the belief that they cannot succeed; they have an "I cannot do it" attitude. Nurses can support higher levels of self efficacy by promoting their internal locus of control and also providing opportunities for the person to succeed with. Nothing breeds success like success. The positive reinforcement of success is also important. Whenever possible, the nurse should use a variety of methods that meet most learner preferences when a group presentation is being given and they should employ the individual's learning preference strategies when one-to-one individual teaching activities are given. At times, registered nurses plan and/or participate in community health educational programs. Some of these programs are formal and others can be informal; some may include only a few clients and others may have large groups of participants. When the registered nurse plans these activities, the nurse assesses the educational needs of the community group and plans educational activities accordingly. The nurse's participation in these activities can include an oral educational presentation to a group of community members, it can include one-to-one guidance and education, and it can include teaching a small group of participants about the correct method to check their blood pressure, for example. Regardless of the nurse's role and responsibilities in these community health educational programs, the nurse must be thoroughly prepared and professional at all times. Similar to the nurse's participation in health screening and health promotion programs, nurses often assist, instruct and coach clients with disease prevention activities such as an exercise routine and other life style changes that can prevent disease and enhance the learners' level of health and wellness. Imunizations can be mandatory and required and others can be voluntary. Childhood immunizations against communicable diseases are most often required according to the CDC and state laws, and adult immunizations against pneumonia may be recommended by the CDC but it remains voluntary. Nurses must be aware of the recommendations and mandates for immunizations as based on the age group that they are caring for. For example, the nurse must be aware of the CDC's schedule childhood immunizations when they are working with pediatric patients and they must be aware of the CDC's adult recommended vaccination when they are caring for adult patients at risk. For example, the nurse caring for adult patients must be aware of recommended immunizations when the patient is elderly and when they have a history of respiratory disease. Both the elderly patient and the adult patient with respiratory diseases, for example, should get the pneumonia vaccine and an annual influenza vaccine. Old wives tales and myths revolve around immunizations and contraindications to them. These knowledge deficits also have to be addressed with clients because they not only can adversely affect the patient's health but they can also adversely affect public health and global health. One example of misinformation relating to immunizations is the belief by many that vaccinations lead to autism despite the fact that there is no scientific evidence to support this misinformation. Vaccinations do NOT lead to autism. Some also believe that a child should not be vaccinated when they have a fever or a respiratory infection. This also is also NOT true. Despite these old wives tales and myths, the CDC does have some contraindications and precautions to specific immunizations. For example, second doses of an immunization to the hepatitis vaccine and the DTaP are contraindicated when the person has had anaphylaxis after the first dose and these same vaccinations have precautions when the person has a severe acute illness with or without a fever. The number and variety of nonpharmacological interventions including complementary, alternative and integrative modalities, are numerous and varied. Health promotion and disease prevention can be facilitated when the nurse informs the client about the routine and special things that should be done by the client or by the client in collaboration with another health care professional like a dietitian, their primary care doctor and their dentist. In addition to immunizations, as just discussed above, health promotion screening is a highly important part of the recommendations. Nurses instruct, prepare and assist clients for screening examinations that can identify diseases in its earliest stages. The U.S. Preventive Services Task Force and other organizations provide screening guidelines and schedules similar to those that the CDC does for immunizations. Many are based on the patient's age because the different age groups are at higher risk for diseases and disorders than other age groups. The final phase of the nursing process, as well as the teaching process, is evaluation which was fully detailed in the "Integrated Process: The Nursing Process" and the "Integrated Process: Teaching and Learning", this evaluative follow up should be done, and documented, after each nursing intervention including a health promotion activity. For example, the registered nurse should evaluate how successful a weight management health promotion activity was in terms of how the client has reduced their weight, they should follow up on their clients to determine if the client has decreased or eliminated cigarette smoking after a smoking cessation health promotion activity, and they can also follow up with a new mother to determine whether or not the newborn's immunizations are up to date as recommended after their participation in a health promotion activity relating to immunizations and the importance of them in terms of their new infants health and disease prevention. If and when this follow up evaluation indicates that the goal of the educational activity was not met, the registered nurse must reassess the client and determine whether or not the original assessment included any barriers to learning which were not addressed during the planning of the activity and then, after a new teaching plan is devised and implemented, the registered nurse will then, again, follow up with the client(s) to determine if the expected outcomes and goals related to health promotion were met or not met. The definition of optimum, simply stated, is the best possible, which does not necessarily mean the best or the highest level of health. An optimal level of health is the best possible level of health for the client as based on their current health status including their limitations and/or the presence of an acute or chronic illness, disorder or disease. For example, a client who has had a cerebrovascular accident and paralysis may be at their optimal level of health despite the fact they have limitations after this neurological insult. Registered nurses facilitate the optimum level of health for all of their clients with the full knowledge that many clients will never achieve the highest level of health. As stated just above in the section entitled "Providing Follow-up to the Client Following Participation in a Health Promotion Program", the nurse should be able to determine whether or not the client has incorporated healthy behaviors into their life style. Data and information about the incorporation of these healthy behaviors can be collected during an interview with the client in terms of the changes and improvements that they have made and by also observing objective data relating to these changes such as a client's lipid levels, adherence to the recommended screening schedule, making and keeping appointments with their primary care physician and monitoring the client's weight, for example. As stated near the beginning of this NCLEX-RN review with the "Integrated Process: The Nursing Process" and the "Integrated Process: Teaching and Learning", the nurse evaluates these activities by determining whether or not the client understands health promotion behaviors and activities by measuring whether or not the client has met and achieved their pre-established goals and expected outcomes in terms of the care that they receive and the education that they have been provided with. For example, the nurse may ask the client about how they are controlling their weight or the nurse may ask the client about the benefits that they are now experiencing as the result of their new exercise regimen. Community based client care is based on the Nursing Process and this care is provided for all six dimensions of health, as discussed below. The Biophysical Dimension: The nurse assesses, plans, implements and evaluates the biophysical needs of the client in the community; and then, based on this assessment, the nurse identifies appropriate resources in the community with which the client can get the needed services to meet their biophysical needs, such as those relating to their risk factors, their current acute or chronic diseases and disorders. The Behavioral Dimension: These community based client care resources can include strategies to promote a good exercise regimen, adequate nutrition and the avoidance of harmful substances with a peer support group such as Narcotics Anonymous, for example. The Socio-cultural Dimension: These community based client care resources and interventions can include economic support, resources like Meals on Wheels, church based volunteers for transportation, and others. The Physical Environment Dimension: The nurse facilitates the use of resources in the community to support a clean environment without the presence of any environmental risks or hazards, such as toxic chemicals in the environment and unsanitary drinking water. The nurse's role in this dimension can also include political activism and community advocacy. The Health Systems Dimension: The clients' availability, accessibility, and affordability of health care and health related resources and services that meet their health related needs are employed with this dimension.